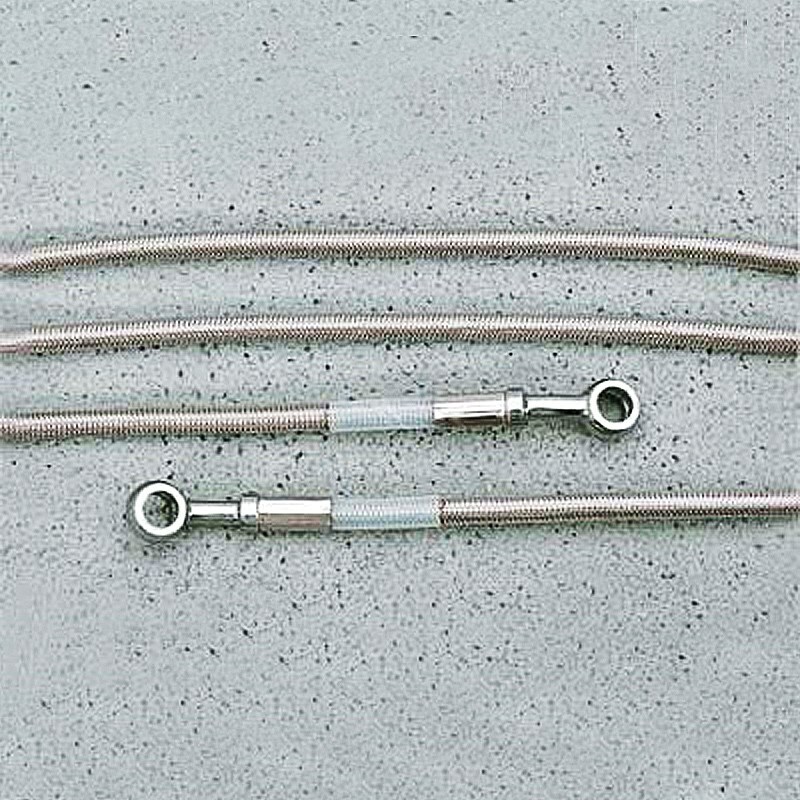 BeschreibungAll of our hydraulic lines are constructed using 308 stainless steel braided brake hose with a Telon inner liner. Brake line has a rugged clear coat on its full length to make it easier to clean while helping protect windshields and painted surfaces. All of our hydraulic lines are constructed using 308 stainless steel braided brake hose with a Telon inner liner. Brake line has a rugged clear coat on its full length to make it easier to clean while helping protect windshields and painted surfaces.